People shopping for prescription contacts in or around Peabody, MA may be looking for the same item, but each person has unique needs. At Parrelli Optical, we understand this and provide a wide variety of choices and thorough exams to ensure each person receives exactly what he or she needs. 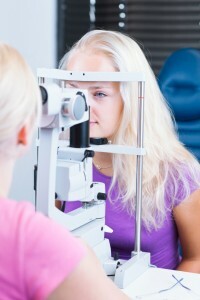 The first step toward finding the right contacts is scheduling an eye exam with Parrelli Optical. Our trained support staff and optometrists have experience and friendly attitudes, which we feel are both important for our patients to have positive experiences. The optometrist will take as much time as necessary to make sure the eye exam is done thoroughly and that customers are given prescriptions that optimize their vision. Contact fittings are also performed. If contacts do not fit perfectly, they can cause discomfort and may move around on the eye. Since we want our customers to be completely satisfied, we use a comprehensive and enhanced fitting method to ensure the best possible results. After the prescription has been issued and the fitting has been completed, it is time to choose contacts. There are soft, gas permeable and hybrid lenses. At Parrelli Optical, we provide people with all types of conditions with contacts. Whether a customer has astigmatism, cataracts, dry eyes or other conditions, we have several popular brands of contacts that are designed for these problems. We strive to schedule appointments at the most convenient times for all customers. Call today to see why Parrelli Optical is one of the best providers of prescription contacts in the Peabody, MA area.